Depending on where you are right now, you're either pretty much done with April Fools' Day (hence our bloated inbox thanks to all you lovely tipsters!) or it's just about to start on your side of the world. In fact, some of this year's submissions already got a head start, including the excellent 8-bit quest mode in Google Maps. Oh, don't worry, there's plenty more from Mountain View and the usual participants this year -- we've rounded up the best of the lot right after the break for your amusement. Keep an eye on this as we will be adding new goodies to the list throughout the day. Let's get Google out of the way first, eh? First up is Google Racing, a partnership with NASCAR to bring autonomous driving to the racetrack, which is good news for racing drivers who need a nap or even an extra long vacation! 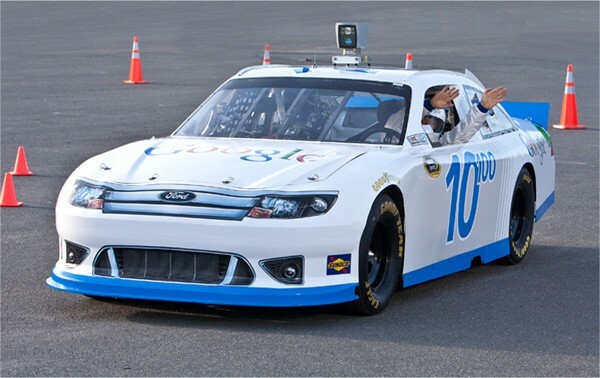 Just to prove that the technology works, Google even threw in its very own Sergey Brin to do a few hands-free donuts -- see him in action on NASCAR's video page. Next up we have Gmail Tap, a cunning input method that replaces the keyboard's 26 tiny alphabet keys with just two big buttons: a dot and a dash. Once you're fluent in Morse code you can pretty much tap away your message without even looking at the screen, nor would you need to worry about hitting the wrong key. Power users can even try the multi-email mode where they use a second Tap pad at the top to simultaneously compose a different message -- see for yourself in the video above. Let's not forget Google Fiber, the outfit's breakout 1Gbps internet service health bar. Mountain View says its taken the guess work out of nutrition, providing a foodstuff that takes feedback directly from your body and funneling nutrients where they are most needed. No word on how it tastes, however. Alright, now it's YouTube's turn. The YouTube Collection is pretty much a DVD subscription service for YouTube clips, and you can even fill out a comment form accompanied by either a thumbs-up or a thumbs-down, which will then get sent directly to the creators of the corresponding clips. Almost there. The final big one from Google is the Chrome Multitask Mode. As the name suggests, this lets you use more than one mouse to control multiple windows in Chrome -- just make sure that the cursors don't get too close to each other, as you'll see why in the video. Of course, Google wouldn't just walk away without leaving you some Easter eggs on its website. For instance, if you perform a search on Google.com (and strictly the .com version only), you'll notice an extra option in the time range, including "Tomorrow," "The Gilded Age," "Jurassic Era," "Cretaceous Era," "Victorian Era" and a few others. If you still want more Google, our good friends over at The Next Web's already done a fantastic job at rounding up all of the pranks from Mountain View, so do check them out. Is that an O2 On & On smartphone in your pocket, or are you just very happy? In addition to its 1.2GHz processor, 3.5-inch LCD and eight-megapixel camera, this Ice Cream Sandwich brick also packs a battery that'll give you 1,000 hours of talk time or 92 days of standby time. Just think of how many times you can beat Angry Birds over and over again. Some like it big, but some like it small. The folks over at Sony have announced the VAIO Q Ultrabook, a 3.66GHz quad-core Core i9 machine at "the size of a quarter" yet it also packs 8GB of RAM, two 128GB SSDs with RAID 0, and an AMD Radeon HD 6650M graphics card to drive that 1.25" x 0.75" 1080p 3D display ("LiveView" magnifying glass available in Q4). Yeah, we're totally sold. More accessories in the video above. We all know how much of an ambitious adventurer Sir Richard Branson is, but the center of the Earth is the last place we'd expect him to journey into. 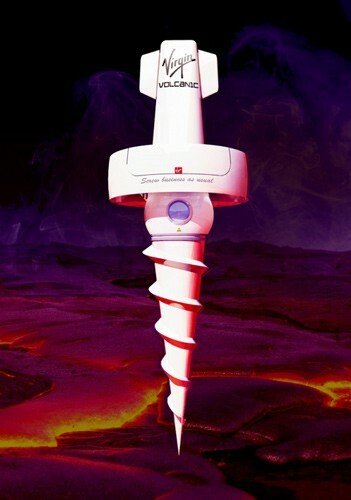 What we have here is the Virgin Volcanic VVS1, a drill-like vehicle that can take up to three "volcanauts" through the hot magma from any active volcano. Said service launches in 2015 and will cost you a mere $1 million deposit to reserve a seat (not sure how that translates to the new Branson currency). Sir Richard's thoughts on this project? "What can I say, I lava challenge!" Razer's just announced the SnakeEyes, a wearable HUD that identifies people's gaming skills and speech as you look at them. But also, the gear's very much a nanny to help a nerd become more of a human -- specifically, it can identify foods as well as reminding him or her the daily real-life tasks. The product page does a better job than the video at explaining all this, so be sure to take a took there as well. ThinkGeek's at it again! 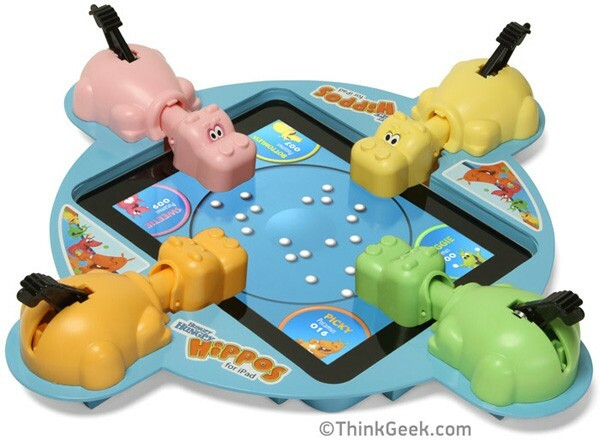 First we have the Electronic Hungry Hungry Hippos for iPad. Well, it's pretty much just an add-on combined with the classic game in app form (which is already optimized for the Retina Display), which will soon be followed by Hungry Hungry Hippos: Space! Not bad for $29.99. Ah, another iPad-related prank product from ThinkGeek. 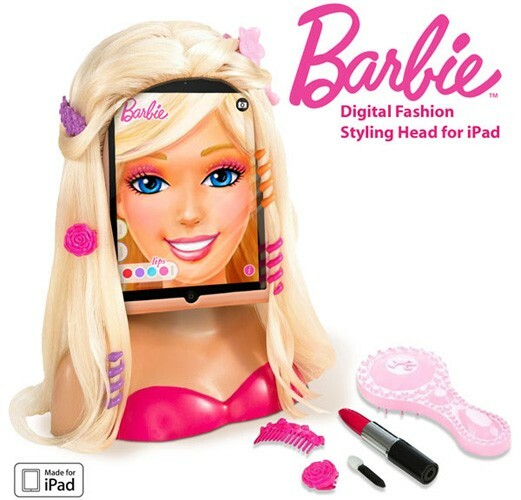 It's all in the name, really: Barbie Digital Fashion Styling Head for iPad. We're actually more amused by the names of the Barbie CloudCastle Network (where each new look is stored -- you get 100MB of storage with this kit) and the Barbie DreamSync Fashion Styling App. Again, at just $29.99 we're pretty sure Toys R Us would love to get hold of some of these. The last one from ThinkGeek is this Technomancer Digital Wizard Hoodie. Just think LEDs, motion-sensing and a wizard-like costume. Watch the video to see how the different "spells" are cast. And yes, we totally want one. 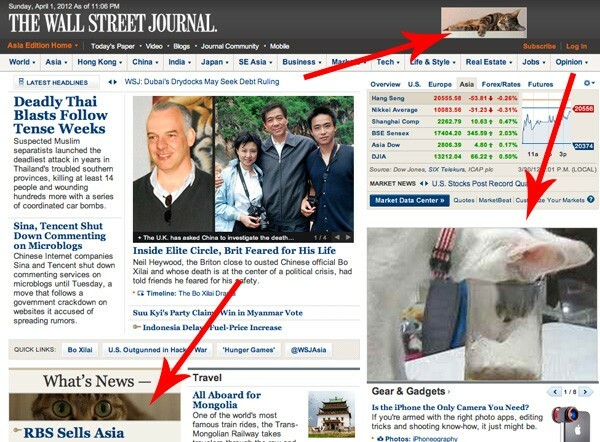 AdBlock for Chrome and Safari now features "CatBlock," which shows you pictures of cats over where ads normally are. The author of the extension is even offering to make a standalone version of CatBlock if he receives enough donation. Moog releases the $0.99 BASE pack for Animoog synthesizer on the iPad. BASE meaning "Biomimetically Augmented Synthesis Expansion," but really it's just a sound pack that's closely associated with our gastric activity. Just watch the video and you'll get it (but make sure your speakers aren't too loud). Uh oh. 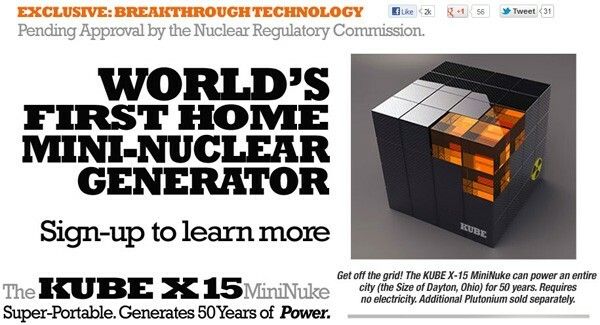 Tiger Direct's getting ready to release the Kube X15, the world's first home mini-nuclear generator (and a pretty good-looking one, too). Even the starter pack's plutonium will keep you going for 50 years! Sick of graphical user interfaces? 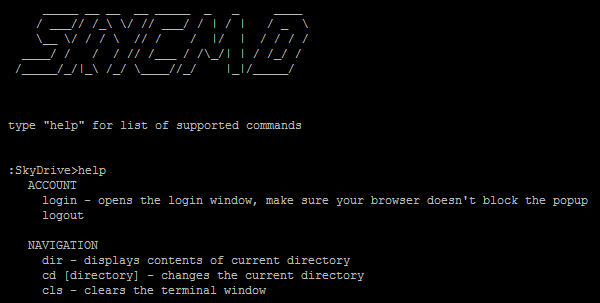 Microsoft's got you covered with SkyCMD, a DOS-esque, fully functional command line Skydrive interface. And yes, it actually works. Samsung shuts down global corporate blog. Sad times. Sega announces Virtua Vineyard for PC and mobile devices! British mobile phone retailer Phones 4u is now doing Gnomes 4u instead. Models include Angelina Gnomie, Kylie Mignome, Gnomey Blair, Signome Cowell and many more. Ikea is recalling faulty allen keys. Comfort House is now selling a solar-powered automatic baby washer. Toshiba's gone nuts with tablet shapes.